When it comes to business cards, nothing is faster and more cost effective than Image Zone's online printing. Whether you need 250 business cards printed or 10,000, you'll find ours is the best quality, combined with better pricing than our competition. Our custom full-color business cards are produced on top-of-the-line digital and high end waterless printing presses that undergo critical color calibration, ensuring you receive the best possible business cards at an unbelievable price. Go ahead and purchase knowing we guarantee our quality, and stand behind every job we produce. With over 35 years of experience, we can insure your satisfaction. Classic Business Cards are run a our Premium Neenah Papers. Choose from Classic Linen, Classic Laid, Classic Crest and various custom stocks. 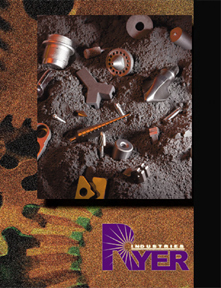 Catalog printing is the perfect solution for marketing materials, product booklets, and other documents that require more than a few printed pages. Use our booklet printing service to create your manual, an event program, or a professional sales booklet. When paired with quality Post Card Mailing, your printed booklets can make a high impact direct mail piece that produces sales. Bookmarks are simple to create and can make a great coupon or ticket for your events. Bookmarks are a creative way to connect with customers because they'll see your logo and contact information every day. A custom bookmark also makes a great coupon, ticket, save-the-date notice or timetable. Club flyers primarily promote your event, but they can also be used as invitations or ticket passes. If your event becomes a hit among party-goers, they might keep your party flyers as souvenirs. Our custom flyer printing service gives you a wide range of options, from sizes to card thicknesses. We use sturdy card stocks for club flyer printing for the prints to last longer as they're passed from one person to another. For additional protection, have your club flyers printed with high UV gloss, shiny gloss, or matte coating. Door hanger printing is unique in the world of marketing. Not only are door hangers exceptionally affordable, they're literally delivered right to your customers' doors. Make sure your door hangers can withstand the elements by using an online commercial printer. We use a high-quality 14-point gloss cover paper stock, and the industry's best printing and finishing equipment with experienced print professionals and color specialists. Our gum sealed envelopes are printed on 70lb uncoated opaque paper. 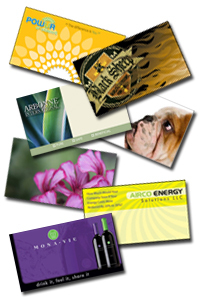 We offer full color printing on outer envelopes to accommodate your branding on both the front and back sides. These printed envelopes can be used in inkjet and laserjet printers, so they will work in any office setting. Ticket printing offers numerous opportunities to earn more from your events. Tickets are essential for any paid event, allowing you to ensure that all entrants are paid and accounted for. With a little forethought, tickets can do double-duty in a prize drawing. But you can also use custom ticket printing to bring in extra money for your business or organization. If you're looking for low-priced stickers that are perfect for products, campaigns, or promotions, then you can choose our basic square cut crack and peel stickers. These are printed on quality matte or UV high gloss adhesive stocks, available various custom sizes. With our digital or offset options, we offer as low as a single sticker to high volume depending on your needs. It's no wonder why posters are a favorite promotional tool for bands, and are a constant feature of political campaigns everywhere. 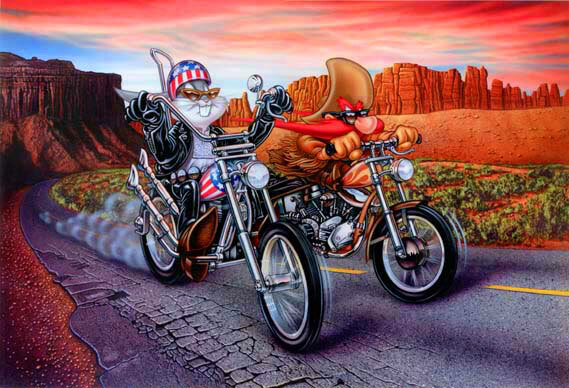 You can also use bulk posters as art reproductions, movie posters, photo posters, music posters, and others. The possibilities are endless! Postcards are a highly effective and efficient way to reach people. Whether you are promoting a business or announcing your wedding date, You will get the highest quality postcard printing, using eco-friendly materials and methods, delivered to you on time. Rack card printing is both affordable and highly effective. When you incorporate the proper rack card printing techniques, you enhance the overall quality of your rack card design, which in turn leads to a robust return on investment. Whether you are printing 500 or 50,000 rack cards, we guarantee the best quality and the best prices. We use a high-quality 12-point gloss and the industry's best printing and finishing equipment with experienced print professionals and color specialists. Boost returns on investment for many businesses, including the travel, tourism and hospitality industries. Advanced rack card printing techniques make it easier than ever for businesses large and small to reach out to targeted audiences and drive traffic and customers. 5x7 Table Tents are printed on a 5x17 sheet with 3 scored and two lock slits. Custom table tent printing opens up a world of sizes and configurations and will allow you to customize them to fit your objectives. Even though they already have a unique look, you can enhance that with custom die cutting. You might also want to accentuate your message with foil stamping, embossing or PMS spot colors. The choice is yours. If you can dream it, we can print it with our custom table tent printing options! using our high quality Digital Press. Printing on a premium Neenah brand 100# dull cover paper. In by 5pm, out next day by 5pm. Setup cards online using our online builder and order system. Printing on a premium Top Cote 14pt gloss cover. Then over coated with a ultra gloss UV coating. Trims to 8.5 x 11 If Artwork bleeds off sides, add 1/8 in to all 4 trim sides. 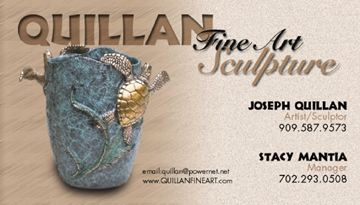 Brochures, Catalogs, Flyers, Rack Flyers, Newsletters. One of the most powerful ways to promote your company's products and services anywhere, any time. Full Color command immediate attention, so they're the perfect vehicles for quick and influential marketing that drives response. Whether you need 500 or 100,000 premium flyers printed, you'll find the best quality, better pricing and more options at your fingertips with us. Our full-color premium flyers are printed on a high-quality 100# Book using our state-of-the-art digital and offset presses that undergo critical color calibration to ensure that you receive the best possible flyers at an affordable price. It�s easy to make your premium flyers stand out with our custom printing services, we can also die cut, foil stamp and print custom sizes. How long will it take to receive my custom t-shirts? Typical turnaround time is 10-14 business days from the time final artwork and payment has been received, if not sooner. Yes, rush orders are available. Can I supply my own t-shirts & garments? Yes, but on the rare occasion that something were to misprint we cannot compensate you for the garment cost, only the printing fee. What type of file should my artwork be? For optimal results files should be a vectored .pdf, .ai, or .eps. Otherwise we can work with full sized resolution (300dpi) rasterized images as well. Can I get a sample first? Every order gets a Digital Mockup of their design on a shirt for proofing. 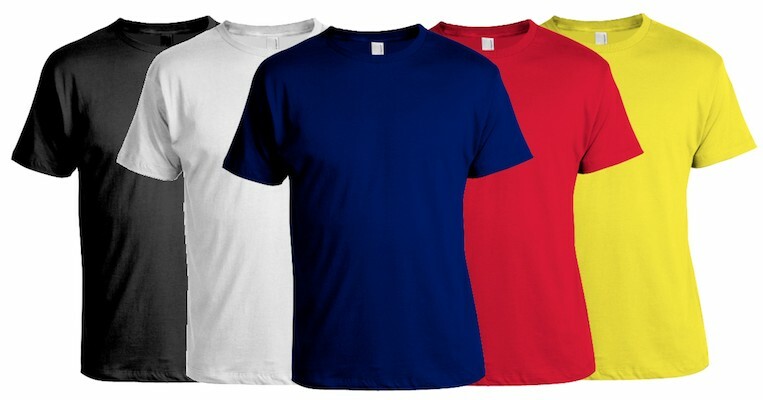 Due to the lengthy prep time and high cost associated with screen printing, physical sample prints for orders of fewer than 100 units are only available with our Direct to Garment Printer on LIGHT color garments only ($35.00/each, ships free). For orders of 100+ units, screen printed samples are available for $50/color (i.e. a 1-color front, 1-color back - $100). This fee would then be applied to the total once the order is placed. For Unisex/Men's tees our screen printing orders our max print size 13x18 Ladies shirts are limited to 10x16; and for Direct to Garment printing our max print size is 14x16. Assuming the garment has a large enough print area. Do you offer All Over Printing over the seems/sleeves? No. Only over the front of Zip-Ups. 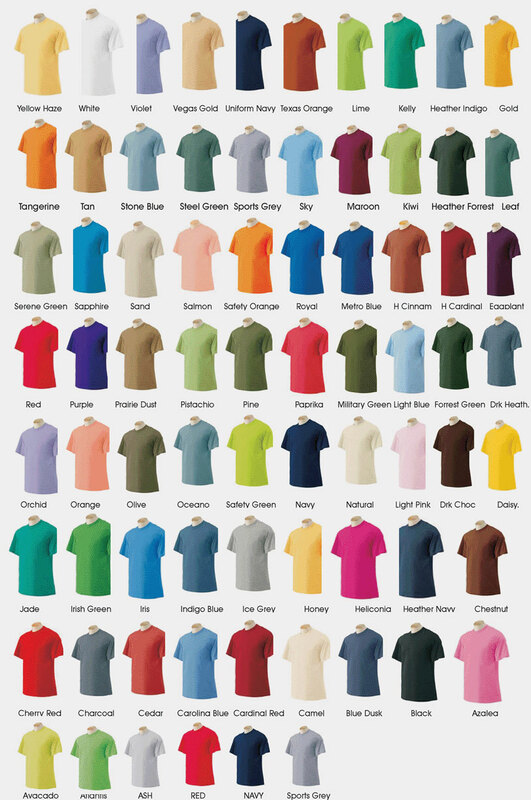 What types of shirts do you have? We have wholesale relationships with pretty much everyone including American Apparel, Alternative Apparel, Gildan, Next Level, Anvil, and so on. It would be impossible to show every product on our website, so If there's something you'd like that you don't see - don't hesitate to ask! In order to make a screen when screen printing, it requires a lot of supplies including vellum, emulsion, toner, & more. Once any image is made into a screen, we keep these supplies on hand for future use. All screen printers work this way, some just factor the cost into each shirt, which we don't like to do. Are there setup fees on reprints? No, as long as the image size & placement remain the same, there are no setup fees on reorders of 24+ units. We prefer to scan from your original Transparencies since it is the finest grain film, however we do work from 35mm slides, 35mm negatives (much grainier than slides), reflective photos (also grainy). Original sizes up to 12x18 Drum scanning up to 18,000 dpi. and Flatbed scanning up to 20,000 dpi. 300dpi high res offset printing. More resolution is always better than having too low. Based on the information you provide, we will layout and typeset your business card. We will choose images from our archive, or you may send us your high-quality images. All images, Logos & Graphics must be digitally submitted in a usable format. images with white backgrounds will need to be clipped out by adding photo editing. PNG, PDF, AI formats are acceptable transparent backgrounds. Keep your brand consistent across the nation using ImageZone's DIY templates for all your marketing materials. We specialize in setting up custom templates to be used by your organization, keeping your printed materials consistently the highest quality regardless of your associates location. With customized templates we control fonts, sizes, colors, images... literally every aspect of your brand is controlled by the template. Your associates click on the template of their choice, enter their information, and approve a high quality digital proof. NO MORE back and forth with faxing, emailing changes, inconsistent print materials. With the added benefit of reduced printing costs which pays for setting up the templates in no time. We can setup any type of job for instant proofing and ordering.